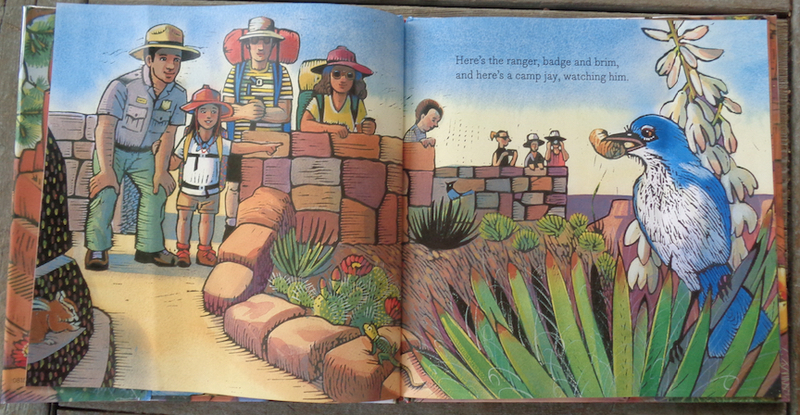 Opening: Here’s a map, some boots, a pack, a walking stick, and sandy track. 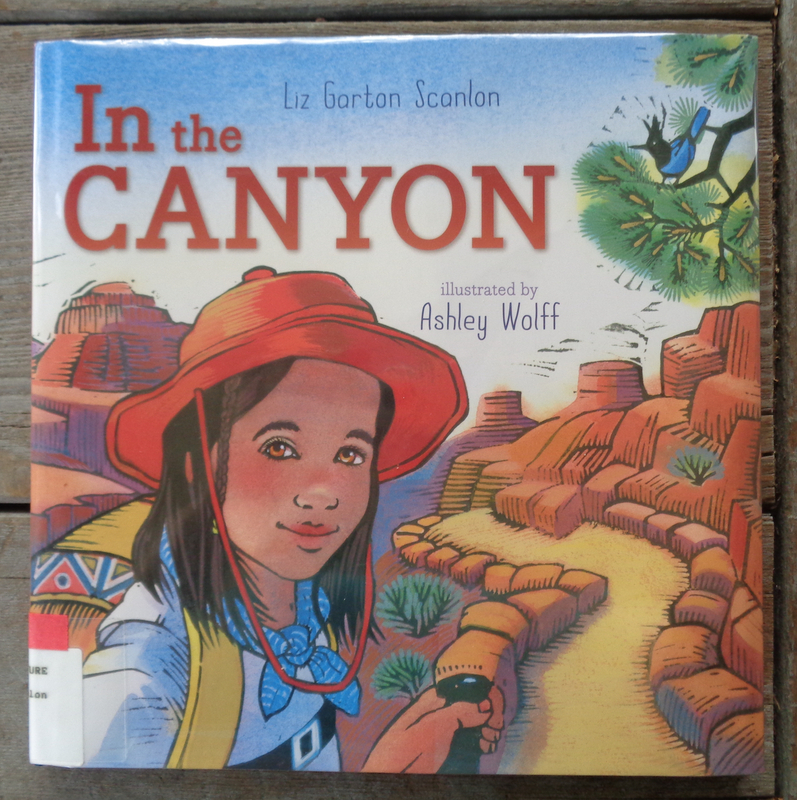 Summary: (from my library catalog) Illustrations and simple rhyming text present a child who is hiking with a group into the Grand Canyon, enjoying the wonders of nature–whether a lizard, a picture on the stone, or a glimpse of the moon from the bottom.. I like this book because: it transports me! 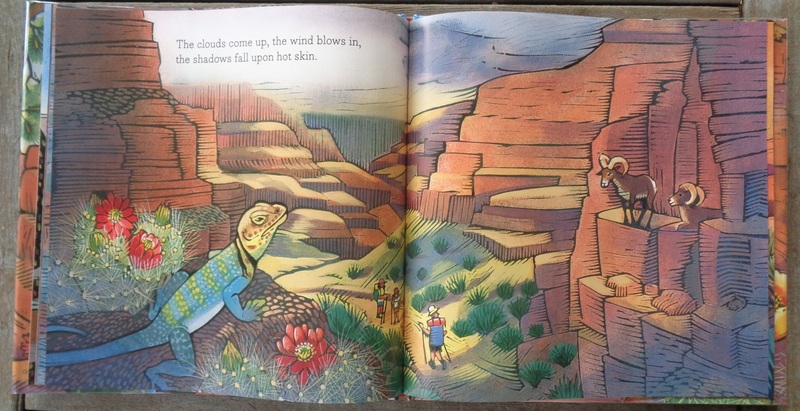 I haven’t hiked the Grand Canyon yet, but have hiked and camped not to far from there, and, as I said when I first saw some of the illustrations, I could feel the fine red sand building up in my shoes. 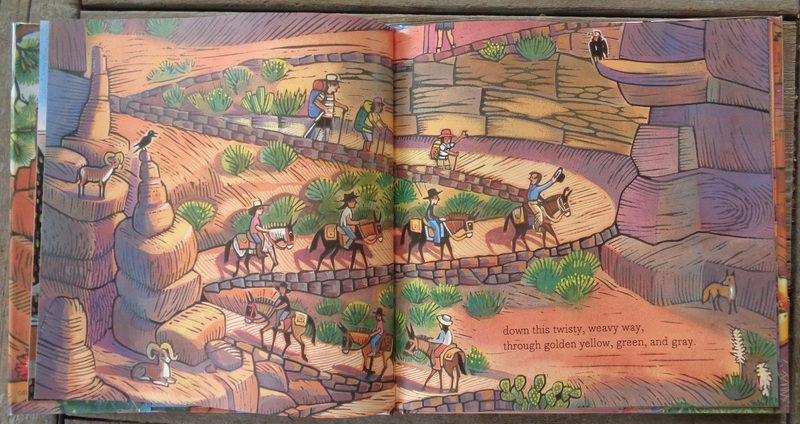 And the gentle rhyming couplets give the sense of being right there with our young guide. Beautiful! 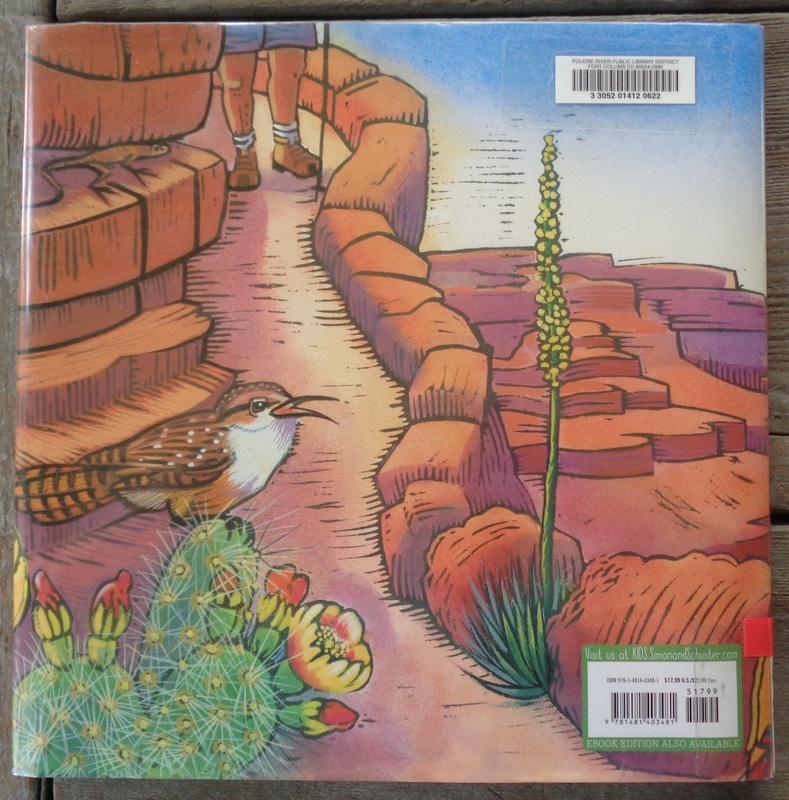 Resources/activities: plan a hike; list what will you need to take on a hike in your area; talk about the wildlife you might see on the hike and what clues could help to discover their presence; practice map reading.